My herbal drink: sirih leaves, telinga kera leaves and spearmint. I have been experiencing pain on my left hips for the past week. 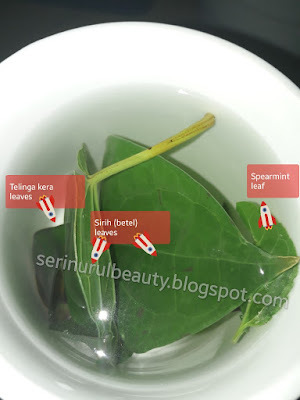 Since I accidentally cut off 2 of sirih (betel) leaves, 5 telinga kera leaves; I decided to make herbal drink out of it. I do add 1 unit spearmint leaf in the mix. I just pour hot boiled water into the mixture of herbs. Then I drink it while it is still warm. 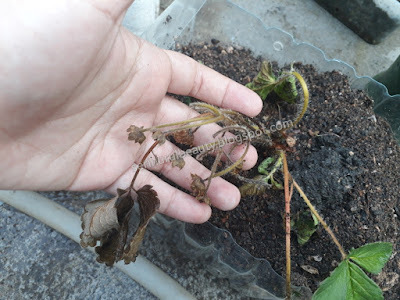 I manage to relocate my strawberry in new container in the morning of 14 April 2019. I notice it withered last evening of 12 April 2019. It was bearing lots of strawberry fruits last 9 April 2019 . I immediately drench it with my neem mixture as attempt to save it. It seems surviving when I take closer look in the morning of 14 April 2019. But not even 30% satisfy me. Which makes me relocate it in new container today. 3 unit of red strawberry fruits that I germinate for next batch. The look of the strawberry in its new container. New scoby layer formed after 2 days in new kombucha tea brew. I am peeking into my scoby containers morning of 14 April 2019. 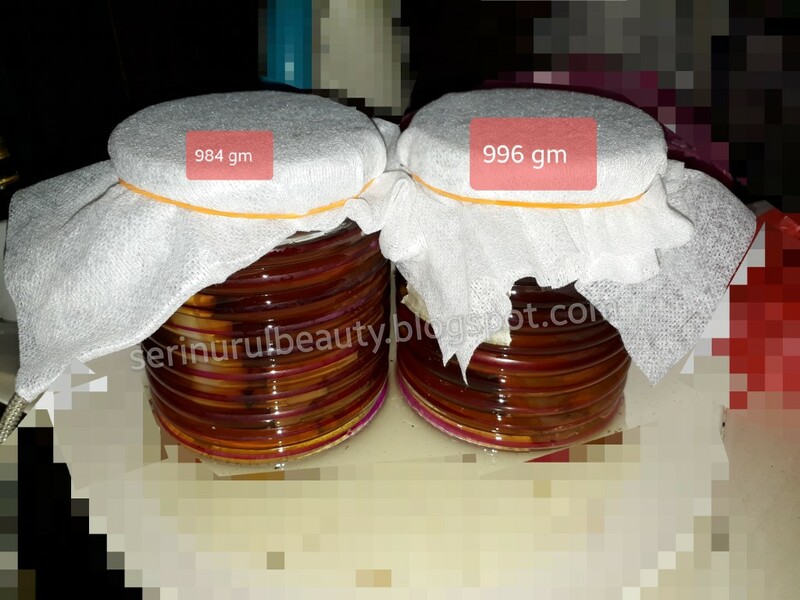 Basically after I move it into new brew kombucha tea last 12 April 2019 . 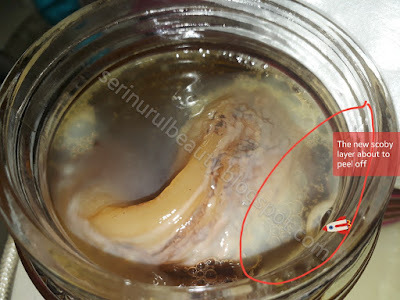 Manage to take pictures of the new formed scoby layer today. It does feel amazing to see the process and manage to take pictures of it for my future references. Drinking my second fermented kombucha tea. I manage to burp all 4 bottles of my second fermentation kombucha tea before bath today 13 April 2019. Basically after almost 23 hours making it yesterday . The one with pineapple+spearmint juice start to become gassy. I take some for my consumption today before proceed to store it in the fridge. 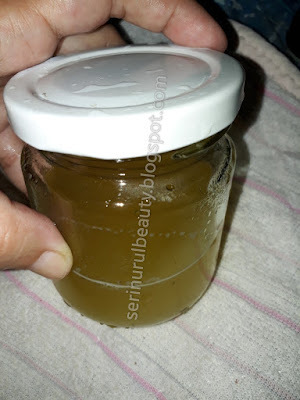 The look of the pineapple+spearmint flavoured kombucha tea around 100 ml. 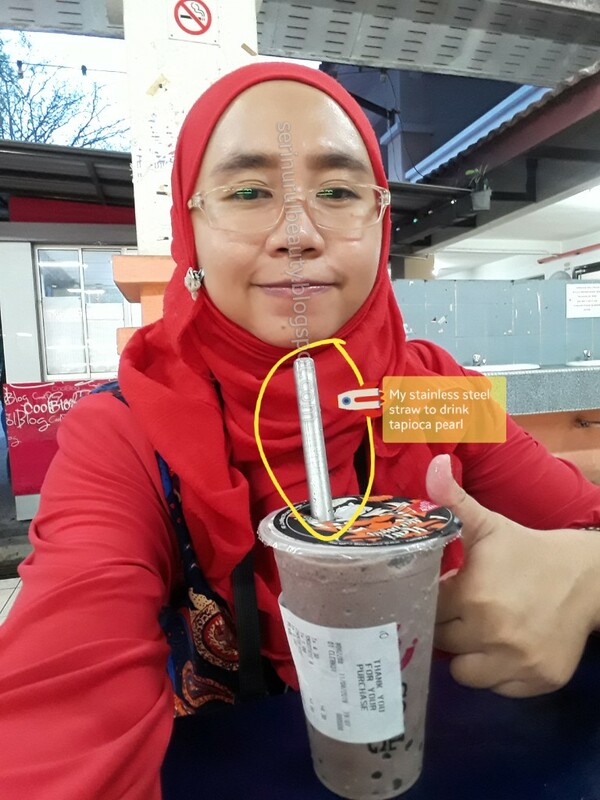 Using my stainless steel straw to drink tapioca pearl in my coolblog drink. This is taken last evening of 11 April 2019. While I am waiting for my food ready for iftar. 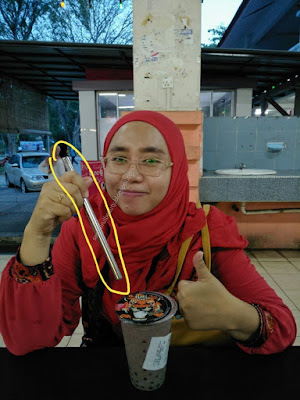 I order this coolblog drink with tapioca pearl as a reward after 4 days straight of replacement fasting. I am using my stainless steel straw that I received last 17 January 2019 . Selfie with the straw and drink. Steeping tea with sugar for my first kombucha tea starter. 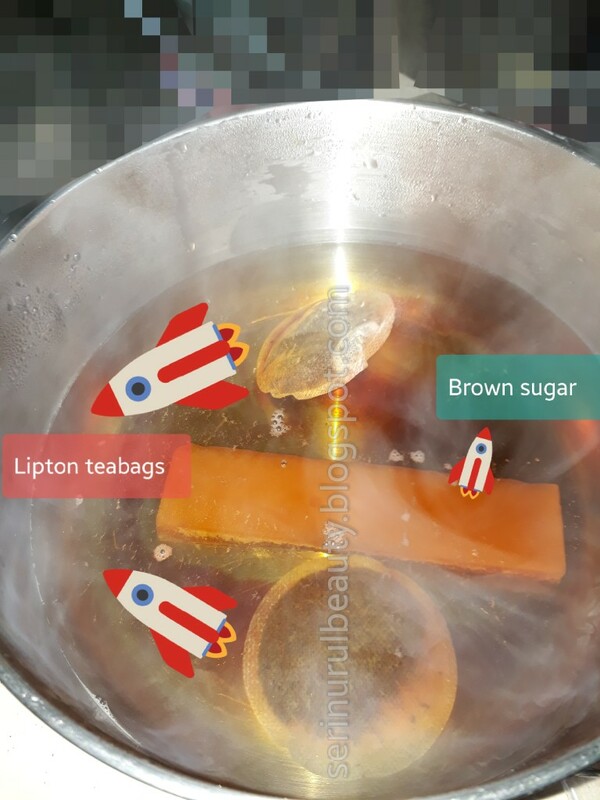 I manage to boiled water to let tea and sugar steep in it before leave it to cool down in the evening of 12 April 2019. Where I am going to use it later for my first fermentation of my kombucha scoby. The look of the bottled kombucha scoby in the cooled sugared tea. I am using 2 tea bags, less than 1 liter hot boiled water and brown sugar. This time I do make sure to use tea leaves instead of herbal leaves. Learn well from my first attempt . This mixture just enough to fill in 2 unit of my kuih raya glass jar. Have to make do with equipment that is available. This event was held from 16 to 17 April 2019 in Dewan Sultan Iskandar (DSI) on UTM Skudai . 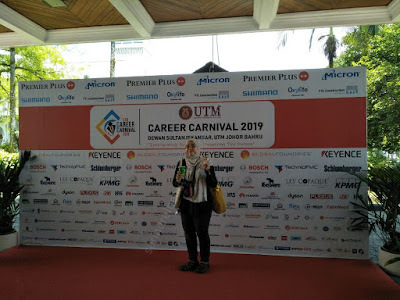 I only manage to go there morning of 17 April 2019. Quite a lot of participant from industry. Even those from Singapore. Enjoying Milo drink from Milo truck after finished looking around. 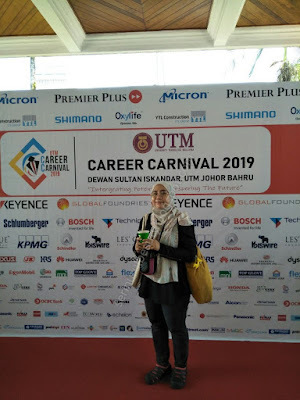 I manage to send my resume to 12 companies. Should really bring more. The growth of my dumb cane plant after 48 days. 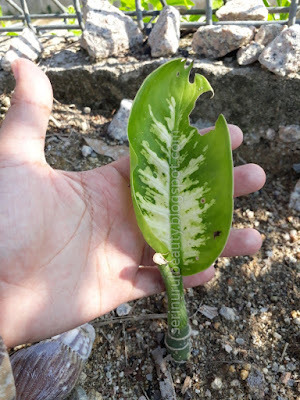 The growth of my dumb cane plant in the morning of 10 April 2019. It is after 48 days planted it directly on soil . Hopefully it will grow well despite the attack by siput babi (escargot/big snail). The look of additional 1 more pisang tanduk fruit. 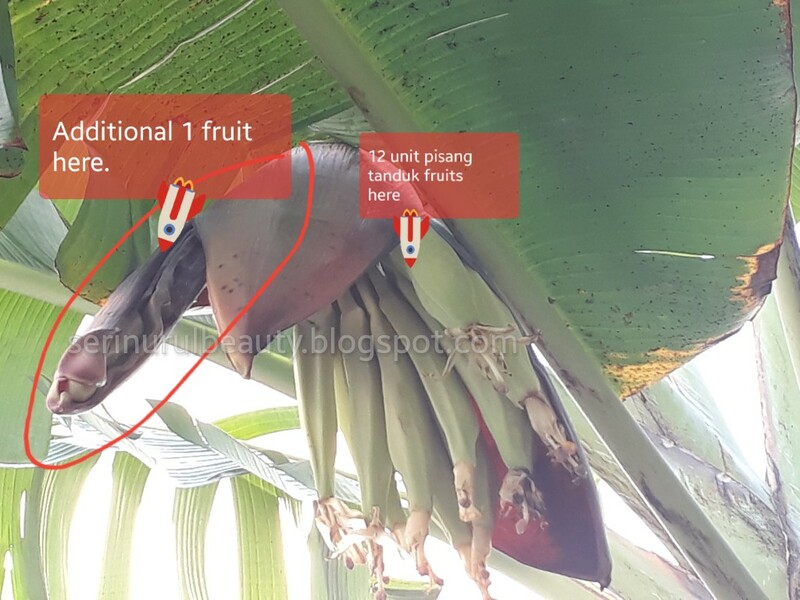 I saw a probably additional 1 more pisang tanduk fruit morning of 10 April 2019. 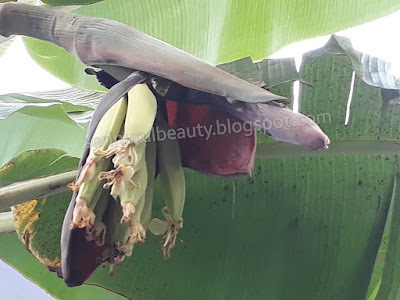 If yes, then the amount of the fruits is 13 units like the second plant harvested last 23 February 2019. Will need to wait till all the heart skin fall out and show full fruits for confirmation. It does feel satisfying to see healthy growth of my banana plant. Also give calming effect for me. Reason why I loves to divert my energy and focus more on gardening as stress relieves activity. Nowadays people keep on asking me why I am hardworking in my gardening activities. Well, I have various reason to do so. As my stress relieving activity. I prefer to have an activity that enable me to enjoy good organic food. I am also able to help others in need of organic harvest. In away helps contribute to generate income. Activity that in away force me to exercise while taking care of the plants. Bonus: I get to harvest good fruits and vegetables. To divert my extra meticulous energy after such being used in my documentation works. Better than spending for unnecessary activities that is time plus money consuming and gain nothing much. Makes me learn plenty more about fruits, vegetables, pest and good gardening insects. Makes me to do a better documentation works on plant traits, flowering and fruiting time, disease, pest and good gardening insects. Nasal vacuum for my cats. My daily make up look. My harvest record from January till March 2019. My tea break with cendol and banana muffin. My second fermentation process of kombucha tea. Comparison look of leaves to my pisang relong. 12 unit of my pisang tanduk fruits. My dinner of nasi lemak with telur mata kerbau. The pretty plump look of my rose flower buds. Around 10 unit of pisang tanduk fruits. My precious home companion, Dell the cat. 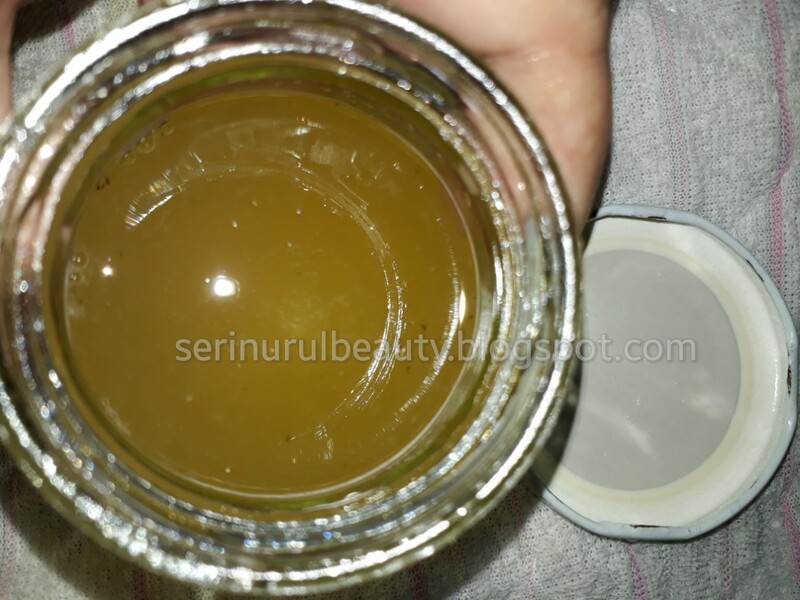 The pretty look of my new scoby after 7 days. The look of flower to my cincau hitam plant. Morphology of pisang tanduk plant. 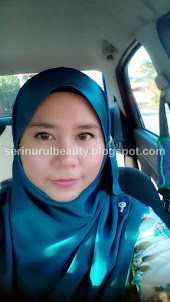 Review on Hair Darkening Shampoo by Desyham. The look of my pisang tanduk heart. The look of my pretty white strawberry fruit. 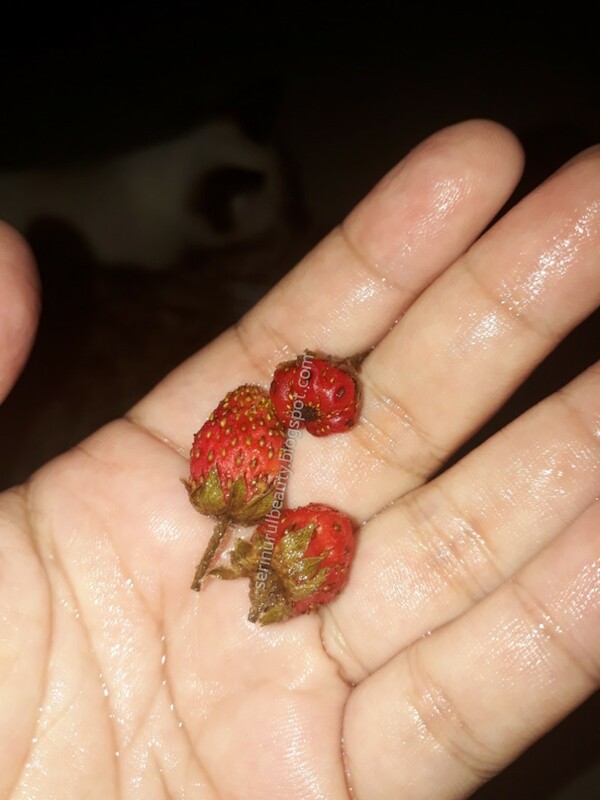 The pretty look of my strawberry that turned red. The look of my first tomato fruit bud. 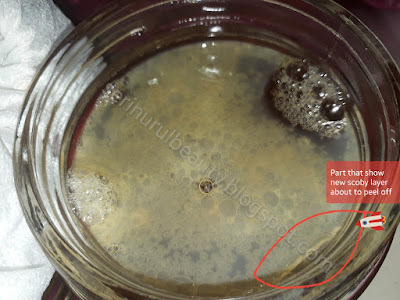 Correcting my mistake doing kombucha starter.